Cornhusker Boys’ State 2018 has officially begun on the campus of University of Nebraska-Lincoln. Several participants arrived this afternoon from all corners of the state of Nebraska to experience one of the most memorable moments of their lives. Cornhusker Boys’ State is sponsored by the American Legion. It is a program designed to elevate the participants’ knowledge in government and politics. During the course of the program, the participants will have the opportunity to run for a public office, including governor, Secretary of State, mayor, and other countless numbers of positions. “I am grateful for the opportunity to participate in this prestigious leadership program that will supply me with vital information about the government,” Boys Stater Nathan Schumacher from Columbus Scotus High School said. As the first day of Boys’ State comes to a close, the members are becoming more comfortable with their new environment. 2018 Boys’ State lasts throughout the entire week from Sunday, June 3rd through Saturday, June 9th. 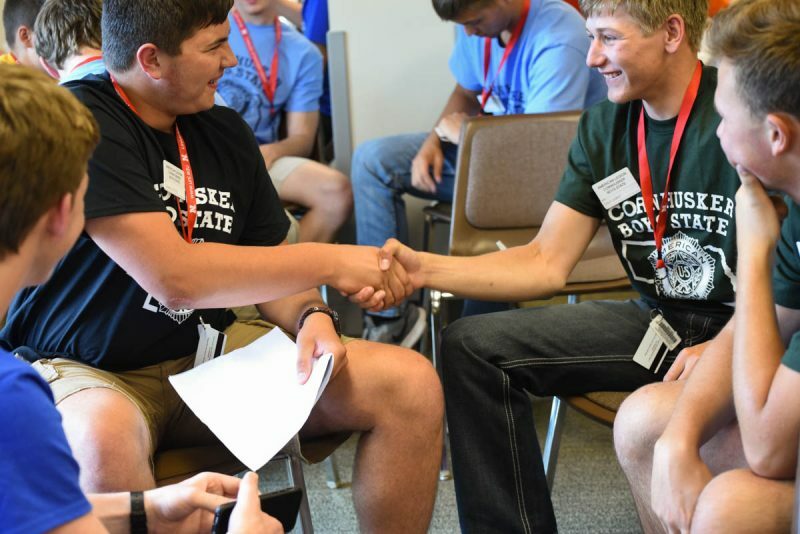 At the conclusion of this program, the participants will realize the benefits of attending Boys’ State, such as meeting new people. One of the toughest decisions that many Boys’ Staters encounter is they must decide what office they want to run and campaign for. Many participants must step outside their comfort zone so they can stand out from other candidates and receive more votes. The governor is one position that requires the candidates to be leading figures at Boys’ State. As the week progress, the Boys’ Staters will receive leadership roles that are distinguishable from their classmates from their schools. Also, the participants will possess some of the greatest memories of their lives.